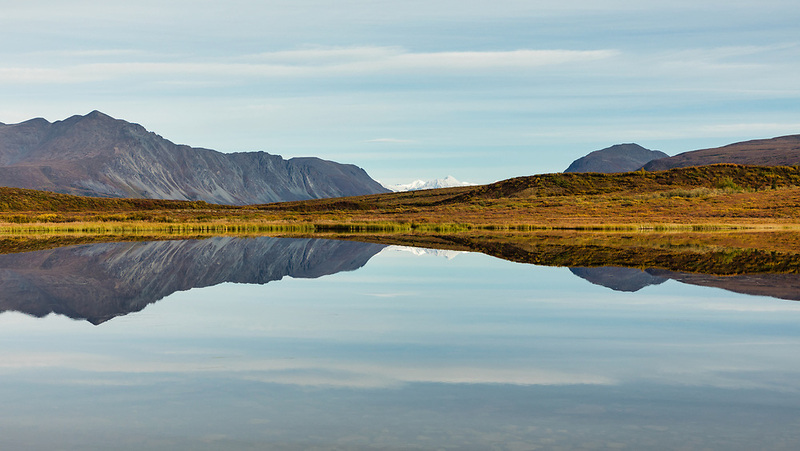 Reflection of Alaska Range Mountains on 17-mile Lake along the Denali Highway in Interior Alaska. Autumn. Morning.